His Highness the Great Sheikh Mohammed bin Rashid Al Maktoum, the Vice President and Prime Minister of the UAE and Ruler of Dubai, has stated that Dubai must have a world class healthcare system that provides both quality care and access to care. Many individuals do not yet have a means of paying for treatment other than out of their own pocket. In many cases this would mean residents without the funds would have to go without treatment. Compulsory medical insurance will make sure that everyone living in Dubai will have access to the treatment they need and the means to pay for their basic healthcare needs. 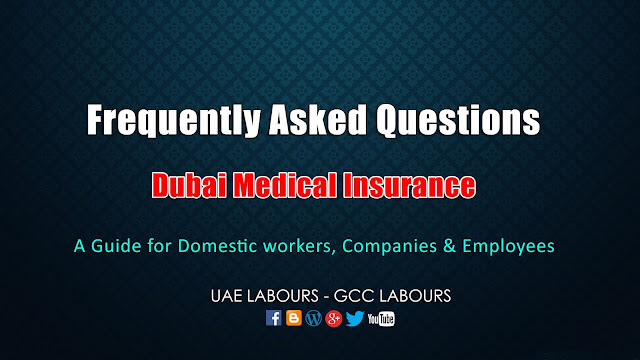 We have answered General Frequently Asked Questions related to Medical Insurance for Dubai Employers & Employees. Read it out and share it for public awareness. What does the compulsory medical insurance mean? If you work for a Dubai registered company (including a Free Zone company), your employer (sponsor) is required by law to provide you with a health insurance plan. A minimum standard of cover called the (EBP) Essential Benefits Plan has been established by Dubai Health Authority which comprises the minimum level of coverage that must be offered by all employers (companies). The updated law also extends to sponsors who must provide health coverage for their spouses, dependents and domestic workers. All other workers (including domestic staff), spouses and dependents must be covered by end December 2016. 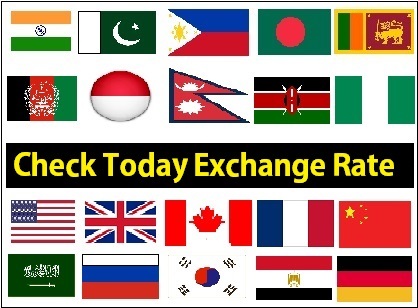 I am on Spouse Visa, How will I be covered? DHA (Dubai Health Authority) encourages companies (employers) to provide medical insurance for the spouse or dependents of its employees. However, if an employer (company) does not provide cover, then your sponsor will need to arrange cover for you. I am a domestic worker, how will I be covered? If you are working for a private family, such as house maid, nanny, gardener or a driver, it will be your sponsor’s responsibility to provide you with medical insurance to avoid future issues. I work for an employer registered in the Emirate of Dubai. Does my employer have to provide me with medical insurance cover? Yes. All resident expatriates working for Dubai registered companies (including Free Zone entities) must receive at least a basic level of cover (EBP) as stipulated by Dubai Health Authority and paid for by the employer. I am living family under my sponsorship, does my employer have to provide medical insurance for them also? The first thing you need to do is to check your employment contract to see if your employer has a contractual obligation under the terms of your service to provide you and your family with medical insurance. Employers are encouraged to cover your spouse and dependents but in the event they do not then as their sponsor it will be your own responsibility to arrange cover for your family. What is the definition of “dependents”? This is limited to your spouse (wife, husband) and dependent children who are on your sponsorship. What is “coinsurance”? How is it different to a “deductible”? Coinsurance is a percentage of the costs of consultations, treatment, tests, drugs and medicines that you have to pay. A deductible is a fixed amount that you pay regardless of the overall cost of treatment. Both are used as a means of keeping down the costs of medical insurance. Where can I receive treatment if I have the basic benefits plan? You should receive a Medical card confirming your registration in the insurance plan as well as information on the services you are entitled with a list of hospitals and clinics where you can go for treatment. Can additional benefits be provided in excess of the requirements of the basic benefits plan? Your employer (company) or you, (if you are arranging cover for yourself or your dependents) can provide insurance which gives benefits in excess of the basic requirements but these extra benefits will normally require a higher premium. Which worker(s) will have to be covered by mandatory medical expenses insurance? All expatriate workers (employees) employed by entities licensed to trade in the Emirate of Dubai or any of its Free Zone companies need to be covered by mandatory medical expenses insurance. What cover employers need to provide employees (workers)? The main purpose of the scheme is to ensure that all expatriates in Dubai have access to quality basic healthcare and the means to pay for it. There is a minimum level of cover that will need to be provided which called EBP. The purpose of this Essential benefit plan is to ensure that those who currently have little or no coverage will have benefits of a reasonable standard while living in Dubai. Will employers have to cover employees’ dependents? As it is a matter of good employment practice to do so in order to assist with recruitment and retention of employees, DHA encourages employers to provide for dependents’ medical expenses although this is not compulsory. Can an employer include dependents in a group insurance scheme but require a contribution from the employee for the cost? It will be possible for employers to do this provided the insurance company offers this facility. Can an employer ask the employee to contribute for his own cover or reduce the employee’s salary to compensate? No, it’s not allowed for employer to ask the employee to contribute or pay his/her insurance. Important: Dubai visa holders who have not obtained health insurance cover by December 31 will no longer be able to renew their visas, as the 6 months extension period comes to an end. Click Here to Check out Medical Insurance Fees and Fine Details in case of Delay.